Get excited – this amazing new bouncer and high chair combination is being rolled out world wide. 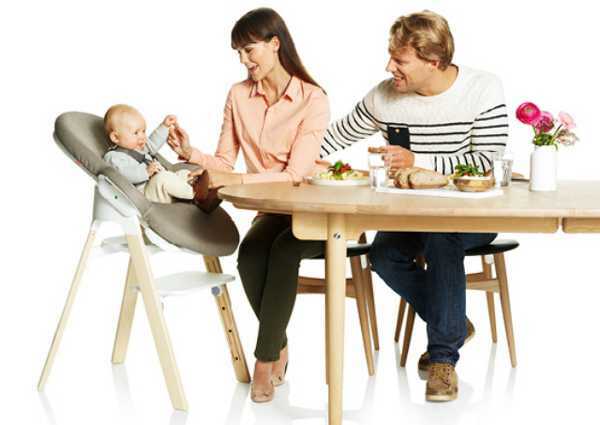 It’s an ingenious seating system and it’s from Stokke – what’s not to love? The Stokke Steps all-in-one seating system looks like it would be a really solid investment for any parent-to-be. Take it from a parent who purchased all manner of different seats, rockers, bouncers and paraphernalia to safely keep my children cradled. This system eliminates the need for so many different seats and streamlines them into one system. The Stokke Steps is a modular system, with a range of ergonomic seating – from a bouncer with a cradling motion, to a high chair and down the track a children’s chair. 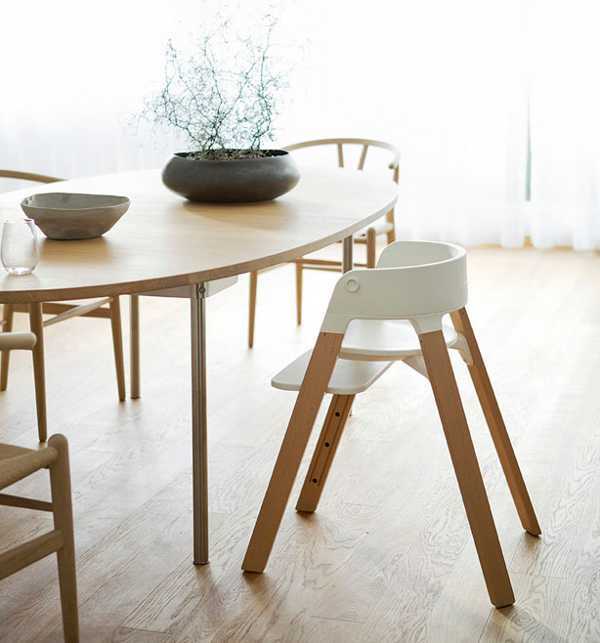 And as an added bonus it has that slick, beautiful styling for which Stokke is renowned. 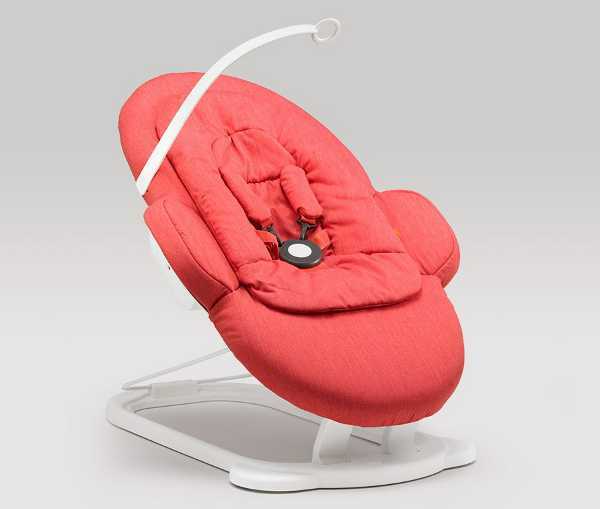 The bouncer, which can be used from birth will be adjustable to four positions, and has a five point harness and toy bar. Once it’s served its life as a bouncer, two clips are used to attached it onto the Stokke Steps chair. 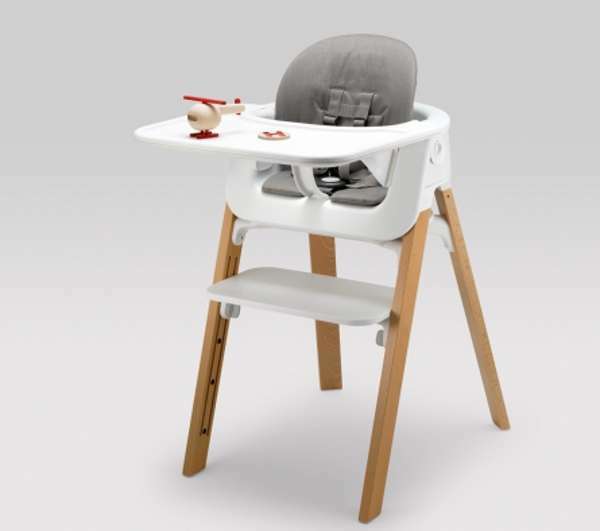 When baby is able to sit independently the system then converts into a high chair by adding a seat pod, cushion and tray. And in its final incarnation, once your child is over three years old the baby set can be removed and it turns into a chair that can be used at the dining table. Now for the sad news. Stokke Steps is currently being rolled out across the US, Canada, Denmark, the UK, France, Spain and Italy, then to other parts of Europe, the Middle East and Asia, but there are no plans for an Australian release so you will need a reshipper.